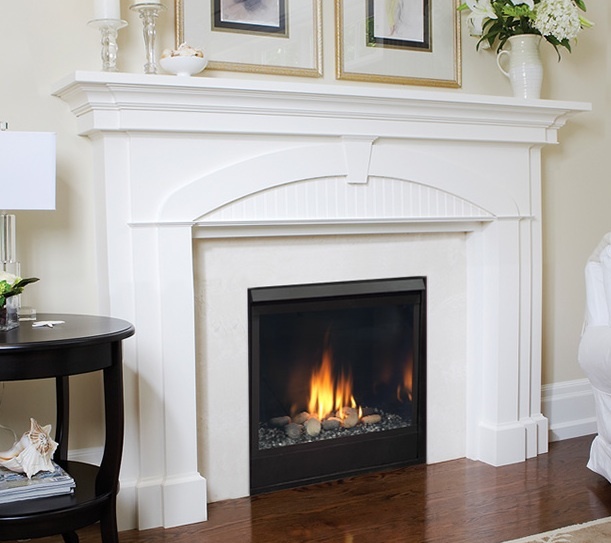 The Patriot Direct Vent Gas Fireplace has a spacious viewing area. Designed with the home builder or renovator in mind, the Patriot system boasts an abundance of features yet remains functional, economical and flexible enough to suit any space, design or décor. The Patriot Direct Vent Gas Fireplace has a spacious viewing area designed to deliver maximum viewable area. The Patriot model offers an open and unobstructed view of the fire. Patriot fireplaces ship rear/top convertible as well as traditional/contemporary convertible allowing users to set it up in any space. The single burner makes transitioning from a classic log set to contemporary fireglass a snap. The Patriot features a louverless flush face and an ember bed burner with fiber ceramic logs and lava rock. Customers may choose to add understated affordable elegance with optional fireglass and liner options. This fireplace delivers a range of BTUs from 15,000 to 21,000, so customers stay nice and warm while efficiently heating the room to help lower heating costs. Up to 578 square inches of viewing area allow friends and family to enjoy the flame picture from almost anywhere in the room. With its vent free design, the Artisan fireplace can be installed just about anywhere. 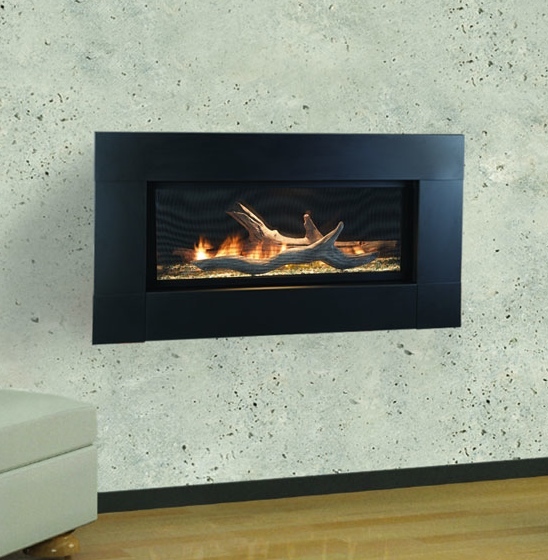 Dealers can now offer the sleek look of a contemporary fireplace with the Artisan vent free fireplace. Because no venting is required, adding a touch of modern heat to the home is simple and cost effective. With its vent free design, the Artisan fireplace can be installed just about anywhere. It’s the perfect solution to add a modern fireplace without the nuisance of venting and renovation. From exterior options such as rope lighting and black or stainless steel faces, to interior accessories like shimmering iceberg glass kits, driftwood log set or stone kit; the Artisan boasts a wealth of options. This exclusive system gives customers a full-featured command center for the fireplace. The included touch screen remote offers even more flexibility. With up to 501 square inches of viewing area, friends and family can enjoy the lovely flame picture from almost anywhere in the room.